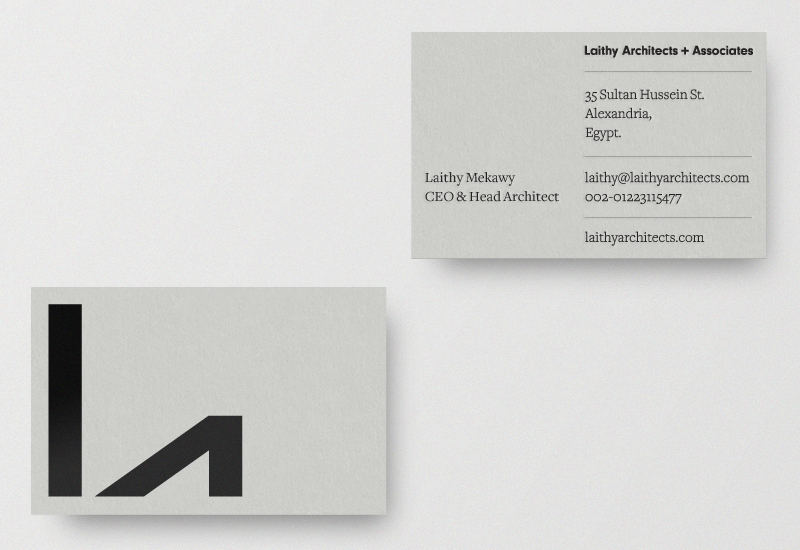 Laithy Architects + Associates is an Egypt-based architectural practice. I was commissioned to develop a new visual identity for the practice, which included monogram, logotype and stationery design, that would appear distinctive, contemporary and professional, and leverage clear architectural design cues such as space, shape, material, process, light and shade. 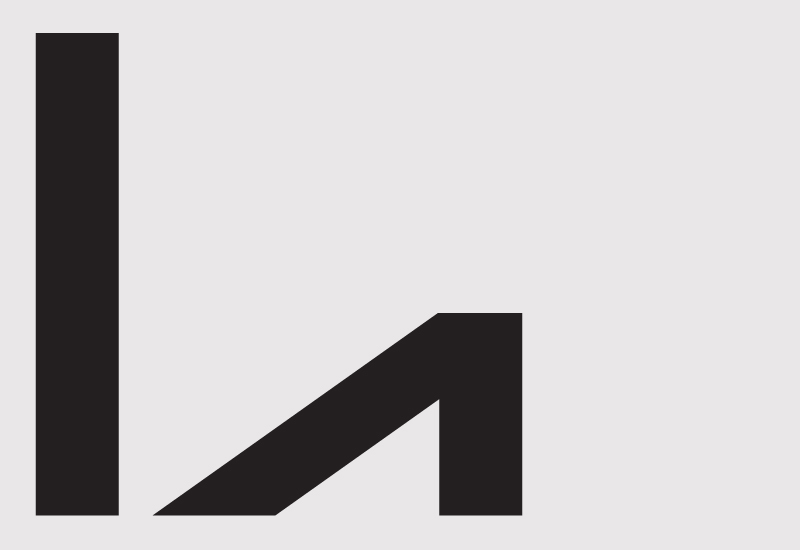 The treatment establishes a strong structural sensibility through an LA monogram that uses basic geometric shapes and a tension between a horizontal tower and triangular base that together form a larger L. The reductionist qualities of the monogram are juxtaposed alongside the detail of a serif type choice, delivering aesthetic impact and a communicative duality, that balances robust and restrained modernistic ideals and high quality detailing. This is further emphasised through the grid-based layout of the business cards, the considered use of printed and unprinted space and a gloss black block foil finish across a cool concrete grey board. This contrast of gloss foil and uncoated board was informed by the themes of light, shade and architectural materials.